Catch The Fire Church in Quebec, led by Jacques & Louise Bellemare, was planted in early 2018 and many of it's congregation use to be part of the The New Life Church of Beauport which opened its doors to residents of Quebec City in 1997. Located near the East door of the city. Jacques and his wife Louise have been in the ministry full-time since 1982. 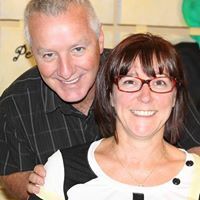 Founding pastors in Shawinigan, they ministered in Sherbrooke and Quebec city and since 1997, founding pastors of the New Life Church of Beauport now Catch the Fire Quebec. Their vision is to build bridges with the community. Jacques is also the director of the Beauport Community Development Corporation since 2005 where he works with the authorities of the City. He firmly believes that the church must build bridges with its community - "because its happiness depends on its own. » Jeremiah 29,7 Jacques and Louise were deeply transformed by the revelation of the Heart of the Father in 1996 and since then they share their experiences throughout Quebec, New Brunswick and more recently in West Africa in Benin and Togo as well as in France. Their passion is to see lives transformed and liberated by the love of the Father!